Premier's Concert Series fibreglass range offer a lighter-weight alternative to the copper and aluminium bowl models, providing excellent response and tonal qualities to fulfil the needs of music organisations. Fibreglass timpani are very suitable for outdoor use. They are also very well priced for organisations where budget is a primary consideration. These series are extremely popular in schools and colleges where instruments are often moved around from classroom to concert hall and are played by numerous students at all stages of their musical education. The National Youth Orchestra of Great Britain, for example, have always played Premier timpani. 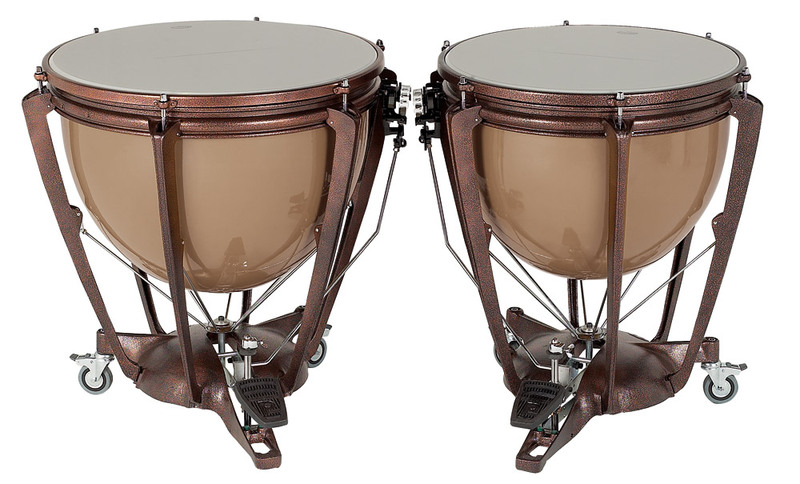 The Concert Series timpani are also popular in brass and wind ensembles where a budget may be in place and for whom frequent transport is a consideration. International or German set-up available. When ordering German gauge position, add OPP to the code. For example 5322-2OPP.